We’re quickly approaching the end of the summer season, and if you haven’t had your roof inspected there’s still time. The best way to handle roofing emergencies is to prevent them, so before inclement weather sets in consider hiring a professional roofer to inspect your roof for signs of damage that can be affordably managed before they become a major problem. 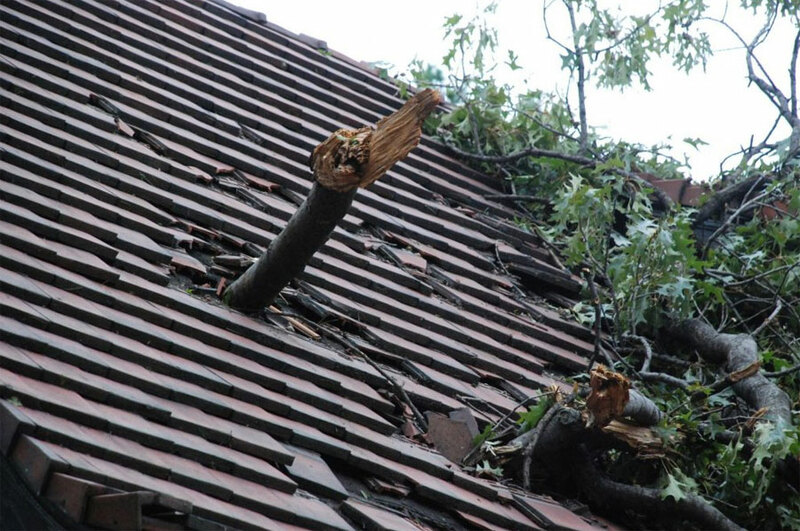 Still, even if you are confident that your roof is in good condition, mother nature can take her toll and you can’t prevent every roofing emergency. As such, here are some tips to handle emergency roofing repairs. Bad weather can hit at any time, but if you’re in the midst of a storm, this is not the best time for dealing with a roofing emergency. Likewise, climbing up onto your roof in the middle of the night to make emergency repairs can also be dangerous. Always put your personal safety first when handling any roofing repair and only go up on your roof when the weather is calm, you have ample light, and you have set up proper safety equipment. When the conditions are appropriate, quickly inspect the entire surface of your roof for signs of damage. If you notice minor problems, you can probably make some quick repairs that will hold until you can bring in a professional. On the other hand, if you find major signs of damage, you should contact your roofing professional immediately to prevent even more damage to roofing structures. Temporary solutions such as a protective, waterproof cover such as a tarp or temporary roof can be installed to contain roofing damage from the outside. You should also protect the contents of your home by moving furniture and valuables away from leaks or wet spots. Place buckets or pots under active leaks and monitor the leaks closely. If you notice water pooling during your roof inspection, you want to remove it. Never let rainwater collect on your roof as it may cause structural damage. Rot is not the only problem you have to consider, standing water can be a breeding ground for mould and insects as well. Ultimately, it is always safest to work with a roofing professional to deal with emergency repairs. Even minor repairs are most effectively handled by expert roofing contractors, and it’s certainly advisable to bring in the pros when leaks have entered your home. Obviously, it’s advisable to have roof inspections at the end of winter to ensure your roof is in good condition, but if you find yourself in an emergency situation you can still save yourself money by working with roofers to ensure your repairs are done right. We are very happy with the roof and appreciate the excellent service. We wouldn’t mind at all if you left your sign at the house so that others know we appreciated your excellent workmanship and service. We would be happy to supply a referral at any time and if you are asked for a reference, not a problem, we would be happy to.